A lot of dairy products can cause havoc in a person’s stomach, especially one that is particularly sensitive. However, yogurt is not one of them. Yogurt contains all of the “good” bacteria that help keep a person healthy – just make sure the yogurt you’re buying actually has this good bacterium in it. Keep an eye out for “live and active cultures” or “probiotics” next time you’re at the grocery store. Ever notice the types of food that are handed out before marathons? More often than not, bananas are one of them. This is because they are very easily digestible and gentle on a person’s stomach. As an added bonus they’re also a great source of energy. Did you know that the average person needs about 20 to 30 grams of fiber a day in their diet? Yet most only probably consume around 12g of the needed amount. Wheat bread, oats, and brown rice are just a few examples of whole grains that can pack a fiber punch and aide in digestion. Ginger is a spice that has been used to help calm upset stomachs, feelings of nausea, bouts of vomiting, gas, and motion sickness for centuries. Add it to your tea for soothing relief to your sensitive stomach concerns. Sourdough bread can provide a much-needed break for a stomach that is sensitive. Sourdough bread is fermented, which makes it more easily digestible. It can be a great substitute for those with gluten allergies who can’t risk a meal with wheat bread. Keep an eye out for foods that boost rich amounts of magnesium. Magnesium helps cut down hydrochloric acid secretion and this helps keep your stomach sensitivity in check. 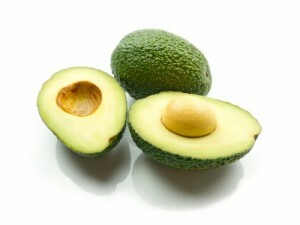 Foods such as spinach, nuts and seeds, soy beans, and avocados have magnesium. Both pineapple and papaya can encourage a person’s natural digestion. They are also great in relieving symptoms of constipation because they both have enzymes which break down proteins easily. Applesauce works a lot like bananas in that they contain a fair amount of pectin. Pectin can help ease the stomach, and since applesauce is already cooked down, it will be easier to digest than a regular apple. When meats are heavy in fat they can really mess us a person’s natural digestion and cause an upset stomach. Leaner meats and lean fish that are steamed will be far gentler on the stomach. Scrambled eggs are a common go-to for those suffering from an upset stomach for a reason. They are light while being consumed and gentle on the stomach during digestion. Be sure not to over-season scrambled eggs if you are experiencing stomach issues, this will only further exacerbate the issue.